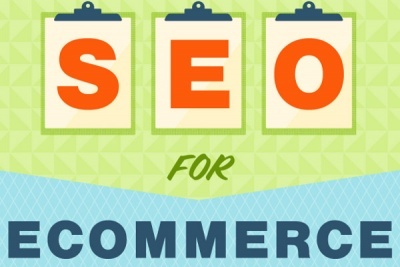 One of the biggest opportunities in the world of eCommerce SEO is optimizing product categories. This is something that is often neglected. While everyone optimizes their pages for specific products, they do not optimize the general categories for which those products apply. I’ll give you an example, for instance “energy efficient air conditioners”. Chances are, if you’re searching for that term, you want to buy one. Let’s look at the top 10 results for this term. I didn’t see a page that actually tried to sell energy efficient air conditioners until I got to amazon.com, ranked at #20. The title of that Amazon page is this: “Best Sellers in Energy Star Qualified Air Conditioners”. It has the words “energy”, and “air conditioners”, but skipped out on the word “efficient”. You’ll find that none of the top 20 results are actually optimized for the term “energy efficient air conditioners”. The closest was this comical page, which purports to tell you “How to Buy a New, Energy-Efficient Central Air Conditioner”, yet on the page itself you find none for sale. You don’t have to rank well to do well with this term. I can tell you that a page that showed the top 10 related products on Amazon would make a decent profit, even if it’s ranked #8 – simply because people will go through all the various organic listings looking for a product to buy, and come up empty handed as they move down the listings. What is going on here? Why isn’t Amazon ranked #1, like it is for virtually all products for which they have in stock? The answer is simple, this is a broad “buying-intent” keyword that represents a category of product, instead of an exact product that is for sale. The Amazon page, which is currently located at #20, doesn’t even have the word “efficient” on the page. If it had optimized for this term in the title, and had the term sprinkled a few times on the page, it would rank #1. Now, let’s take the first product found on that page, a “spt wa-1222s 12 000btu window air conditioner”. Googling for that term, of course, shows Amazon ranked #2. This pattern can be found with nearly every category and product that Amazon ranks for. Whereas the broad category is often badly optimized, the specific products are heavily optimized. What this means to you is that it is a waste of time trying to optimize for specific products. Instead, you want to optimize for broad categories. There are other advantages when taking this route to creating product pages that are highly profitable. When someone searches for an exact product, they know exactly what they want. As soon as they see that item for sale, they buy it – especially if they see it from Amazon, because the process is rather straight forward from that point, they see Amazon listed at #1, click on the page, buy the item and it’s over. If you’re ranked #2 – you’re out of luck. However, when someone is searching for a broad category, it means they don’t know exactly what they want. They’re investigating. They want to shop for a good product, and compare prices. If you have a page that compares the top 10 products, their features and offer a price comparison, you’re offering exactly what that surfer is looking for. It’s for this reason that you can be ranked #8, and still do well with a page that focuses on a broad category. People don’t know what they want. They’re window shopping. If you’re the highest ranked page that gives the person what they’re looking for, they’ll bite on your offer. Make the best page on the internet that compares the top 10 products of what the searcher wants and you’ve won. This pattern can be found throughout all product categories. I don’t want to specifically focus on Amazon, as there are many other types of affiliate programs which sell products that can be found on Amazon – but using them as a guideline will give you many ideas. Let me show you an example of someone who is doing it right. Take, for instance, “small chainsaws”. Someone who is searching for that term likely wants to buy a small chainsaw. Searching for that term produces this page, an article that focuses on small chainsaws that has affiliate links to Amazon. A winning strategy, therefore, would be to browse through Amazon, looking for products with higher prices (as commissions start fairly low with Amazon), or you could find another affiliate source that pays higher commissions. I like to shoot for at least $10 commission per sale. Next, take the broad category and search Google. If no one has optimized for the broad category, it is an excellent opportunity to make a profitable Amazon affiliate site. When I create a website selling affiliate products, I mainly focus on the broad category. I do not produce specific product pages. The products are mentioned on the page themselves – where I’ll feature the top 5 or top 10 products in a category. This gives you less pages you need to optimize for, where hundreds of products can be consolidated to dozens of sales pages. A good rule of thumb is this – only produce a page that chases after a profitable keyword that actually has search volume. Doing this for broad categories, instead of specific product names, is a winning strategy. 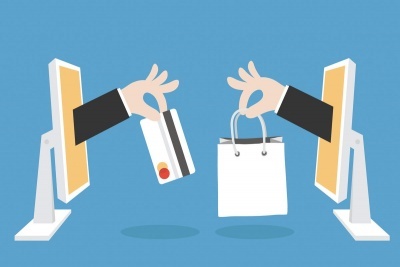 Keep this in mind when you’re optimizing your next eCommerce affiliate site.